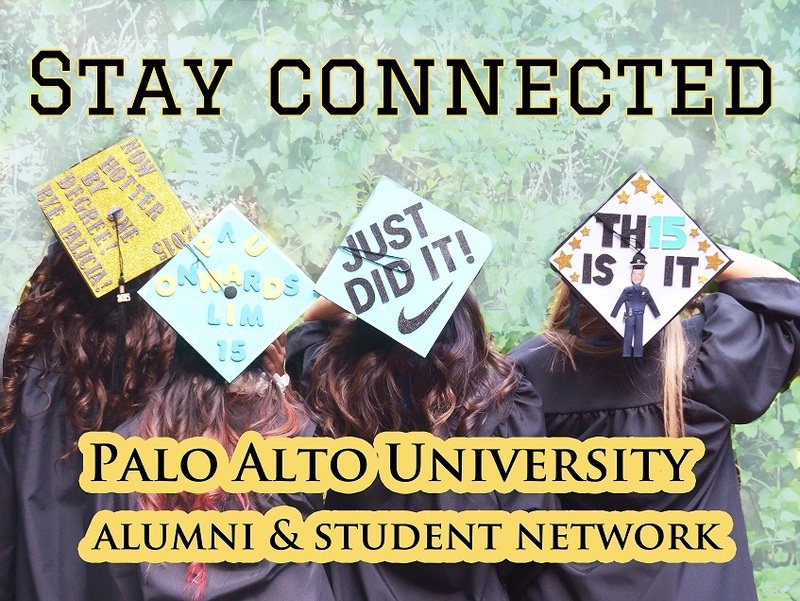 The Department of Alumni Relations is excited to welcome Palo Alto University Alumni as a part of the PAU growing community. The Alumni Relations team strives to provide support and alumni services while PAU graduates continue on their path after completing their degree. Stay connected with PAU’s alumni, faculty, staff, and current students through the Alumni Newsletter, email list, and upcoming events. We are pleased to partner with alumni networking platform ‘Graduway’ to connect a global community of Palo Alto graduates and students and provide a place to post and view employment opportunities. Click on the photo below to check it out. Join the PAU Alumni Association- it’s free! Get involved with the Alumni Council.